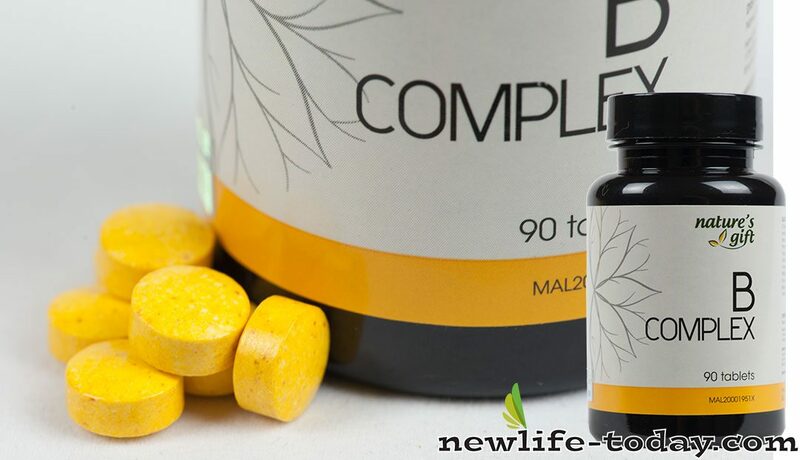 Buy this Vitamin B Complex at RM 60.20 (20% off retail) when you become a member of NewLife International. B Vitamins should always be taken together as in a B Complex. The amount of the individual B Vitamins must be synergically combined for optimum benefit (but one B Vitamin can be taken for a particular disorder, together with the B Complex). Sources of B Vitamins include whole grain cereals, nuts, yeast, dark green leafy vegetables, meat, poultry, fish, and eggs. Due to excessive processing of food, the supply of B vitamins from food sources have become scarce. Furthermore, stress, insecticide residue, pollutants in the air & water, smoking, alcohol, drugs like birth control pills, laxatives, antibiotics, antidepressant, estrogen (as in HRT), anti-gout, anticoagulant – all these are vitamin robbers & deplete B vitamins from the body. Since B Vitamins are water soluble, it is imperative that a sufficient daily supplement is taken. B Vitamins help to maintain healthy brain tissue, nerves, skin, eyes, hair, liver and mouth, as well as muscle tone in the gastro intestinal tract. It helps to prevent cancer. B Complex is coenzymes involved in energy production and is useful for depression and anxiety. It is an anti-stress nutrient. B Vitamins are needed for blood formation; thus, it helps to prevent anemia. Vitamin B Complex are essential in treating cold sores, canker sores and herpes. B Complex help to prevent epileptic convulsions, and help to overcome fatigue and food addiction. Vitamin B Complex is proven successful in making hair healthy and preventing grey hair. NewLife Vitamin B Complex help in treating hay fever, healing wounds and bones, heart disease, hyperactivity, builds up immune responses, infertility, menstrual problems, mental retardation, multiple sclerosis, nerve disorders, schizophrenia, sexual functioning, vision difficulties, weight loss problems, and protects against lead poisoning. Vitamin B12 (Cynanocobalamin) – by Dr. Lynn Tan, N.D.
Vitamin B12 was discovered around the forties by Dr. Tom Spies in Birmingham, Alabama, USA, during the course of his work on malnutrition. He found that the vitamin works especially against different types of anaemia that are caused by malnutrition. Even some degenerative changes on the spinal cord can be brought back to a near normal condition with great doses of B12. B12 is not only needed to prevent anaemia, it is also needed for cell formation and cellular longevity. Vitamin B12 is known to prevent nerve damage, maintain fertility, and helps in normal growth and development. This vitamin is also needed for proper digestion, absorption of foods, and metabolism of protein, carbohydrates, and fats. There has been a continuing, unresolved debate over sources of Vitamin B12. One side of the debate says that you can get B12 only from animal products; the other side maintains that the tiny amount of B12 required is produced by the bacteria in a person’s mouth and intestines as with all other mammals. Infinitesimal amounts of the vitamin are also found in the plant kingdom, especially from the fermentation that occurs in preparing certain soy products and yoghurt. A Vitamin B12 deficiency can also be caused by malabsorption, which is most common in the elderly and in those with digestive disorders. In this case, a deficiency of B12 is due to the difficulty of assimilating Vitamin B12 rather than to its lack of availability in the diet. Vegetarians should take Vitamin B12 supplements from vegetable sources. Spirulina and other green foods will conveniently meet this need. The contents of B12 in these superfoods are as follows. Of all these supergreen foods, you will find Spirulina to be the most superior, not only because of its contents of B12, but also because it is power packed with organic iron, GLA, Beta-Carotene, Chlorophyll (green), Phycocyanic (Blue), protein, etc. Other sources that contain B12 are brewers yeast, miso, kelp, sprouts from mung beans, lentils and other beans. If you are pregnant and also a vegetarian or one who doesn’t take much meat, be at ease about getting enough B12. When you become pregnant, you become like an absorbent sponge for B12. This means that your absorption of Vitamin B12 is greatly increased. Therefore, daily consumption of Spirulina, coupled with food like sprouts, kelp, yoghurt, tofu, and brewers yeast, will guarantee you a sufficient supply of B12. Cancer patients have a great need for B12. Dr. Max Gerson has prescribed B12 in the form of injections, along with liver extract for these individuals. For details on this, please refer to the books A Cancer Therapy – Results of 50 Cases, by Dr. Max Gerson, and Gerson Primer, produced by the Gerson Institute.